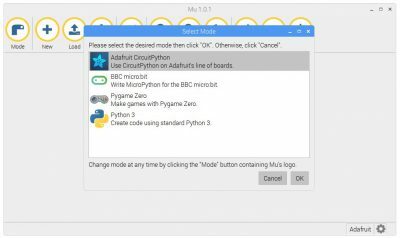 This tutorial will be a quick introduction to CircuitPython. A Raspberry Pi will be used to set up a Nordic nRF52840 board, run the Mu IDE and create some sample code including BLE. Adafruit Blinka will also be used to demonstrate Python compatibility between a Raspberry Pi and a microcontroller. Part 1 demonstrates loading the ESP32 firmware, file manipulation with Rshell and NeoPixel LED’s. 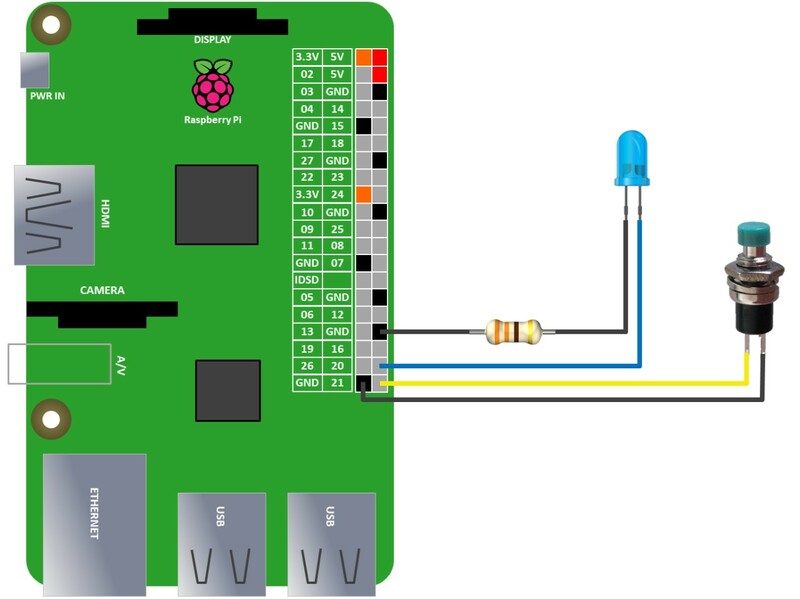 Part 2 uses MQTT to wirelessly transmit data from temperature/humidity sensors. Part 3 sets up a web server on the ESP32 that provides lighting control and sensor feedback. Part 4 demonstrates how to connect a color OLED display in addition to ADC and FTP. Part 5 demos the ESP32’s built-in capacitive touch sensors. Part 6 demos hosting a Web-Socket server on an ESP32 using the LoBo MicroPython build. MicroPython v1.10 added limited support for nRF52 boards but the set up process is a bit complicated, typically requiring a toolchain, code compiling and a hardware debugger to program such as a Segger J-Link. However, Adafruit recently released CircuitPython beta 4 which supports the NRF52840 and is very easy to use. 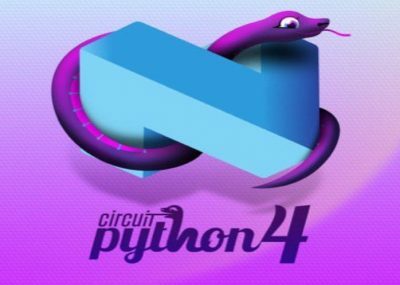 This is my first foray into CircuitPython but I have been watching the development and I’ve been very impressed by the progress and the high caliber of the programmers contributing. Therefore when Adafruit announced their new Feather nRF52840 Express board I signed up for the waiting list and got one of the first batch. LIPO battery jack with built in charging. The board doesn’t come with MicroPython installed, but it does come with a USB bootloader which makes installation very easy. 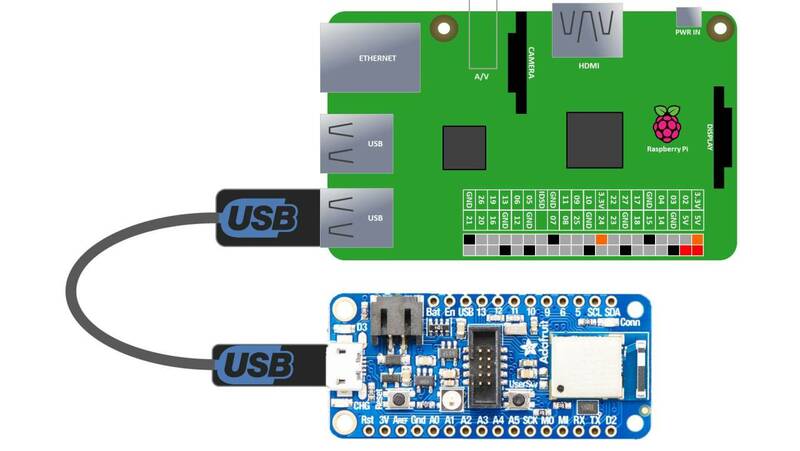 Connect the board with a micro USB cable to the Raspberry Pi. Double tap the reset button on the nRF52840 board. The NeoPixel should briefly turn red and then a solid green which indicates the board is in bootloader mode. You have to double tap quickly. A slow double tap is used to put the board in safe mode. The Pi shoud recognize that a new USB removable media device has been connected and display the option to open in File Manager. The new media folder should be called called FTHR840BOOT. Current.UF2 is the current contents of the microcontroller flash. It can easily updated by just coping a new UF2 file to the folder. 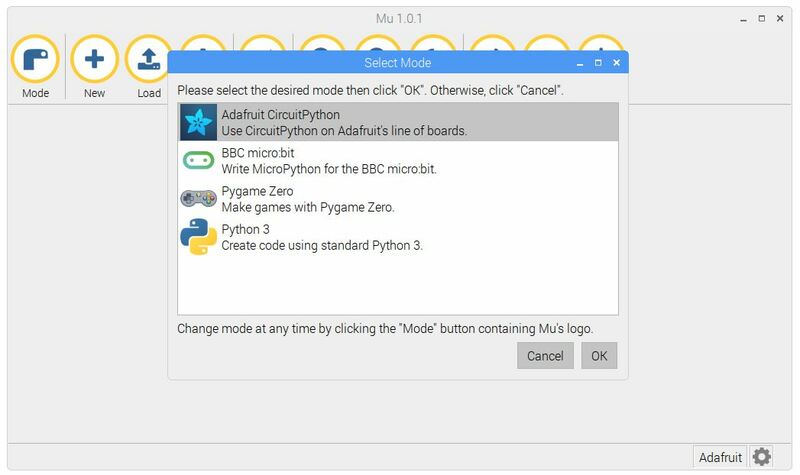 The latest version of CircuitPython can be downloaded from the Adafruit GitHub repo. You can click Releases to get the latest stable precompiled UF2 file. Alternative for the very latest build, scroll down to the Download section and select the Continuous (one per commit) builds. Once the download completes just copy the new UF2 file to the FTHR840BOOT folder. CircuitPython should now be installed on the nRF52840 board. 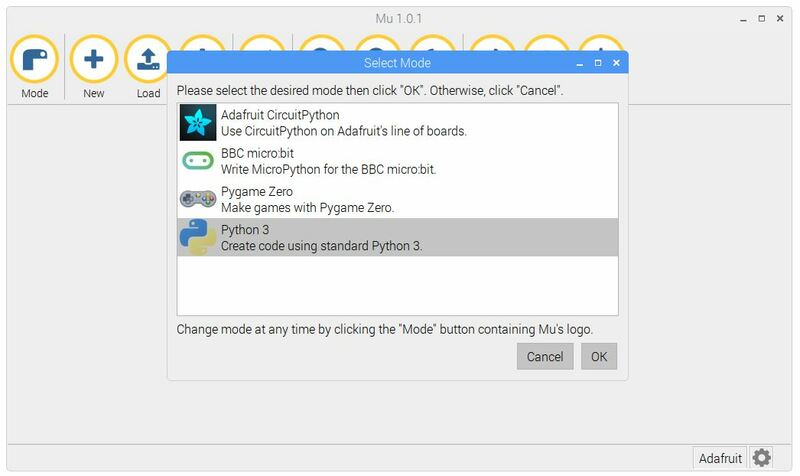 Adafruit recommends using Mu when starting CircuitPython development. Mu is a very simple intuitive cross platform Python editor that has excellent support for CircuitPython programming and file management. Of course you don’t have to use Mu. You can use any editor that writes out the file completely when you save, such as VS Code, Sublime and VIM. 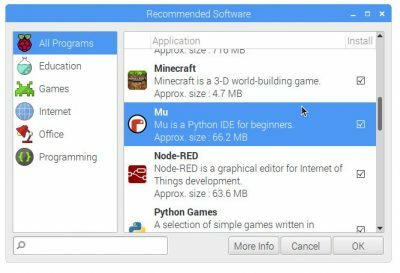 To install Mu, click the Raspberry Pi Main Menu – Preferences – Recommended Software. Then click the check box next to Mu and OK to install. Once the installation completes click the Raspberry Pi Main Menu – Programming – Mu to run the program. On the first run, you should be prompted to select a Mode. Choose Adafruit CircuitPyton and click OK. The Mu IDE is very intuitive. Save – Saves a file and automatically reloads and runs the code. Here’s the CircuitPython code for a simple program that illuminates the built-in red LED on the board when the user switch is pressed. The code is very similar to regular MicroPython. The board library contains definitions that are specific to each development board such as the Feather nRF52840 Express. 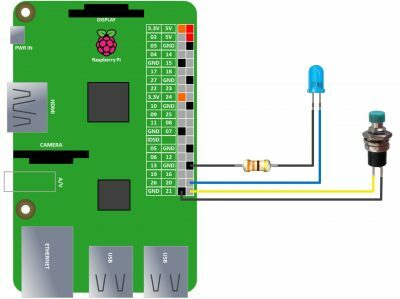 The digitalio library is similar to the MicroPython Machine library or the rPI.GPIO library and lets you control GPIO pins. An interrupt would be preferable for the switch in the above code but CircuitPython doesn’t support interrupts or callbacks, yet. When saving the program use the filename code.py so it runs automatically (main.py should also work). Another great feature of CircuitPython is that code written for a microcontroller such as the nRF52840 will also run on the Raspberry Pi with minor modifications. The Adafruit_Blinka library (named after the CircuitPython mascot) allows you to run CircuitPython on the Raspberry Pi and other boards such as the Orange Pi and the Beagle Bone. To install Adafruit_Blinka first make sure your Raspberry Pi has the latest version of Raspbian and run an update and upgrade. 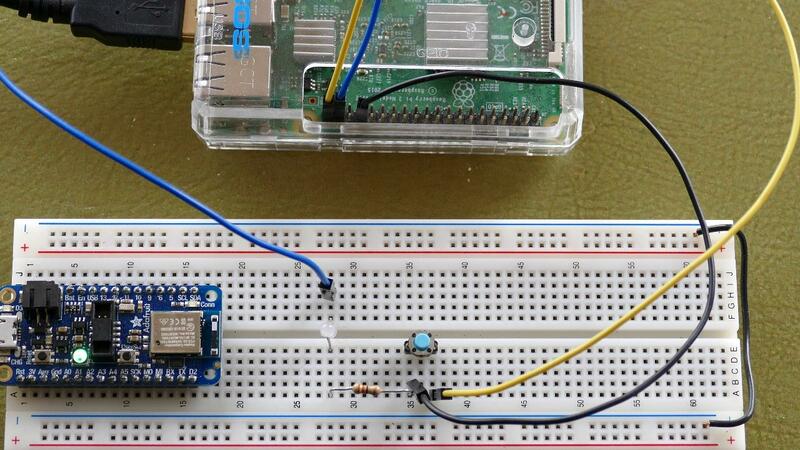 Make sure rPi.GPIO is installed. CircuitPython code should now work on the Pi. 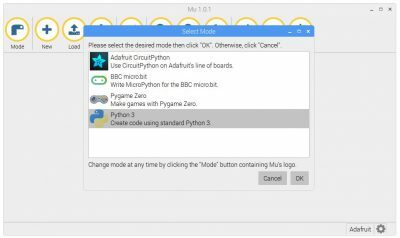 In Mu, click Mode and switch to Python 3. Here is the previous code example. There are 2 changes. RED_LED was changed to D20 and SWITCH was changed to D21. In Mu, click the Run button to start the program. Pressing the push button switch will pull GPIO 21 low to ground which will turn on the LED just like on the nRF52840 example. 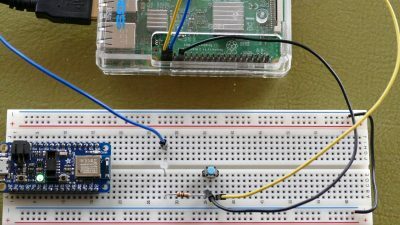 The ability to use the same code on the Pi and a microcontroller is very useful because if you create or download a CircuitPython library it should work across multiple devices. Doesn’t matter if it is I²C or SPI; it should be compatible. In addition to the CircuitPython core, Adafruit provides a large bundle of libraries such as onewire, HID, and of course Bluetooth Low Energy which you can download from the Adafruit Circuitpython Bundle GitHub repo. The bundle includes the Adafruit_CircuitPython_BLE library. Here’s a quick BLE example. I rearranged the code from the video into a loop. The nRF52840 board waits for a connection and then waits for a message. Upon receipt the board echos the message back to the client and prints it to the console.